A grand experience in Chennai. Grand Marena displays fine appearance of style with finely decorated interiors and sleek furnishing with a simple and modern look to it. With pocket-friendly and comfortable stay, Grand Marena is a unique opportunity to make the stay for guests convenient and home-like. 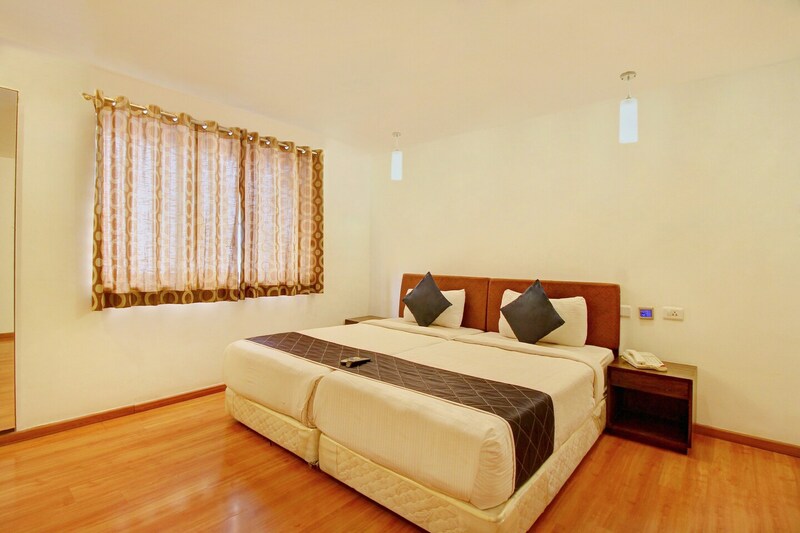 The rooms are spacious, bright and well-designed equipped with a modern piece of furnishing. Packed with basic amenities, you can avail the service of free Wi-Fi and mini fridge. The hotel has a parking facility for guests and card payment. Living room and dining area are spacious with well-lit decor for ease. With markets and restaurants nearby, it is a delight to stay at the center of a residential and commercial area.